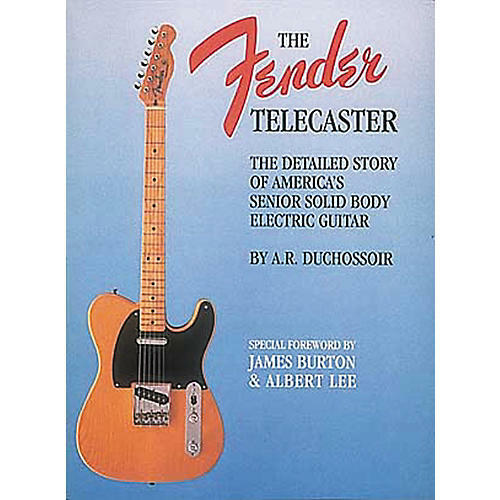 The Fender Telecaster is regarded as the first commercially successful solid body electric guitar and this special book by A.R. Duchossoir chronicles the history of the instrument since 1950. Designed by Leo Fender at a time when the words rock 'n' roll were not even coined, the Fender Tele is the senior member of a family of electric guitars whose sounds and looks helped revolutionize the world of popular music. The Fender Telecaster book relates the story of Telecaster guitars-everything you ever wanted to know is explored through lots of color and black and white photos, charts and interviews.